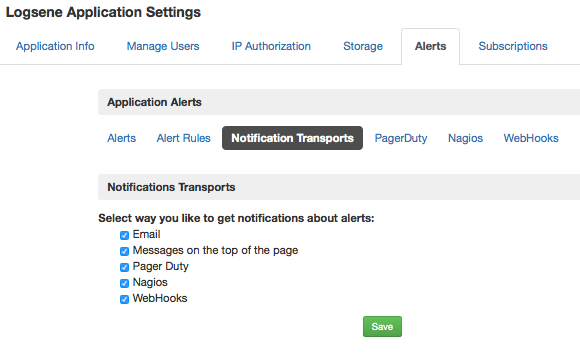 In addition to email, PagerDuty, and Nagios, you can have alert notifications go to any WebHook you configure, including Slack and Hipchat. How does one decide between Threshold-based and Anomaly Detection-based Alerts (aka Algolerts)? 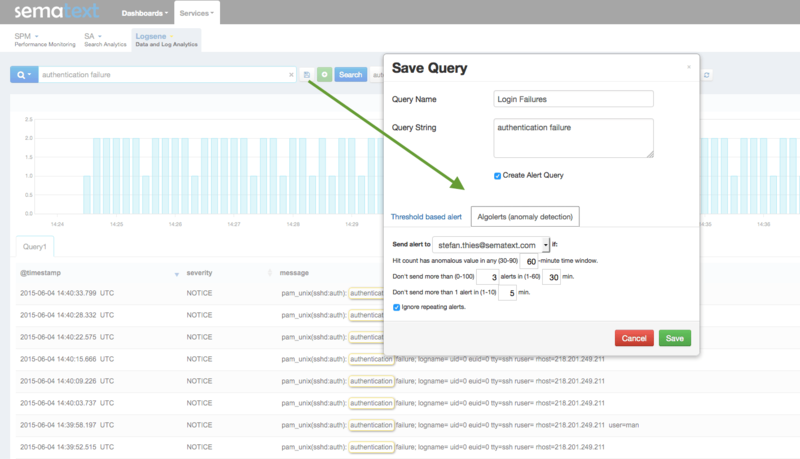 If you have a clear idea about how many logs should be matching a given Alert Query, then simply use threshold-based Alerts. If you do not have a sense of how many matches a given Alert Query matches on a regular basis, but you want to watch out for sudden changes in volume, whether dips or spikes, use Algolerts (Anomaly Detection-based Alerts). For more detailed explanations of Logsene alerts, see the FAQ on our Wiki. Speaking of log queries…this post is part of our 3-part blog series to detail the different types of Queries that Logsene lets you create. 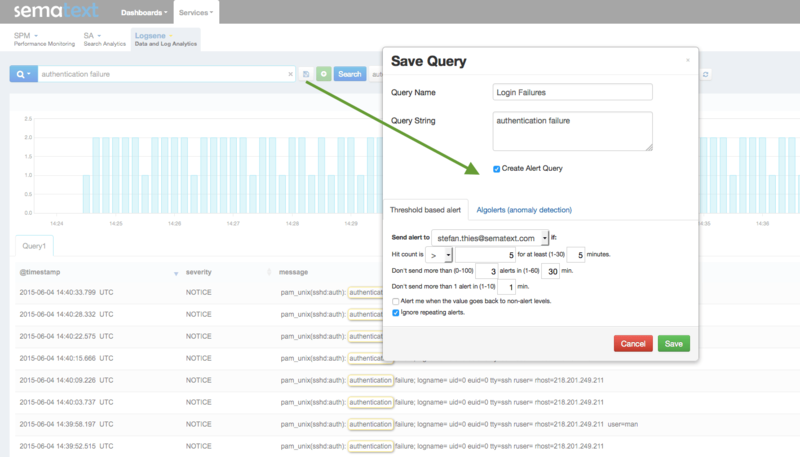 Check out the other posts about Saved Queries and Scheduled Queries.